Mosquitoes which carry malaria generally bite between dusk and dawn. Close windows and doors and remain indoors during this time. Use insect repellent on exposed skin. Lotions and spray options are available. Generally, apply before the sun sets, and reapply before climbing into bed. Spray your accommodation with an aerosol insecticide, or use other approved indoor mosquito repellent methods (burning coils, mosquito mats, etc.). Wear long-sleeved, light-coloured clothing, long trousers and socks. Sleep under a bed-net or in a netted tent or use screens to prevent mosquitoes from flying in. This is incorrect. Prophylactic drugs suppress parasite development, and therefore, even if not totally effective (due to partial drug resistance or non-compliance), symptoms tend to take longer to appear, may be less severe at first and development of complications is retarded. In the complete absence of drugs, parasites are able to multiply at phenomenal rates, and malaria can quickly get out of hand, and lead to severe complications and death. Patient.co.uk is one of the most trusted medical resources in the UK, supplying evidence based information on a wide range of medical and health topics to patients and health professionals. 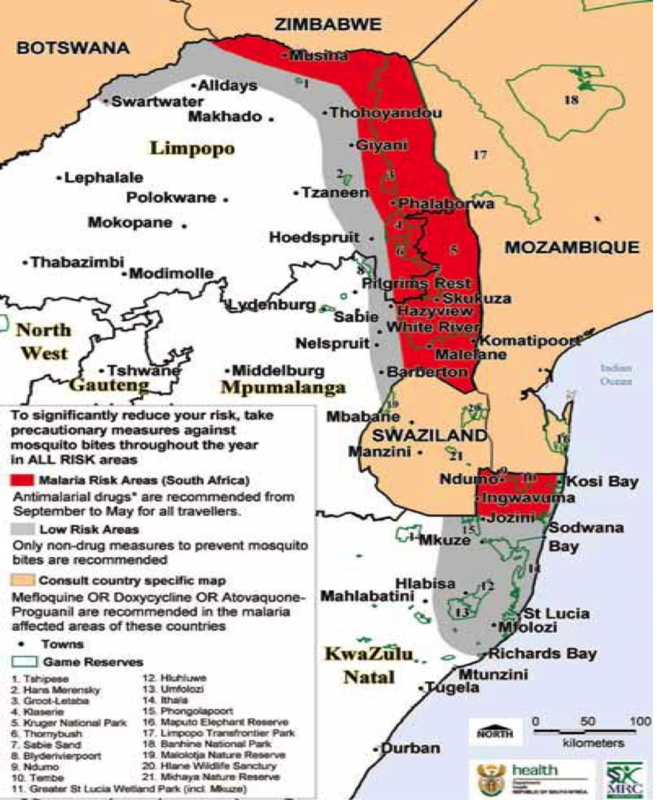 The information provided for each country includes the country’s stated requirements for yellow fever vaccination, WHO recommendation for travellers regarding yellow fever vaccinations, and details concerning the malaria situation and recommended prevention of the disease.